Bishops (CCCB) continued today at Nav Centre in Cornwall, Ontario. In parallel to the English Sector meeting yesterday, Bishops from the French Sector gathered to receive information on liturgical, catechetical and other matters closely tied to language and culture. The day began with a special Celebration of the Eucharist for the healing of victims of sexual abuse and the forgiveness of sins. Later, Bishops listened to a moving testimonial from a survivor of clergy sexual abuse, as well as from a Bishop who has been on a journey of healing and justice with survivors in his diocese. 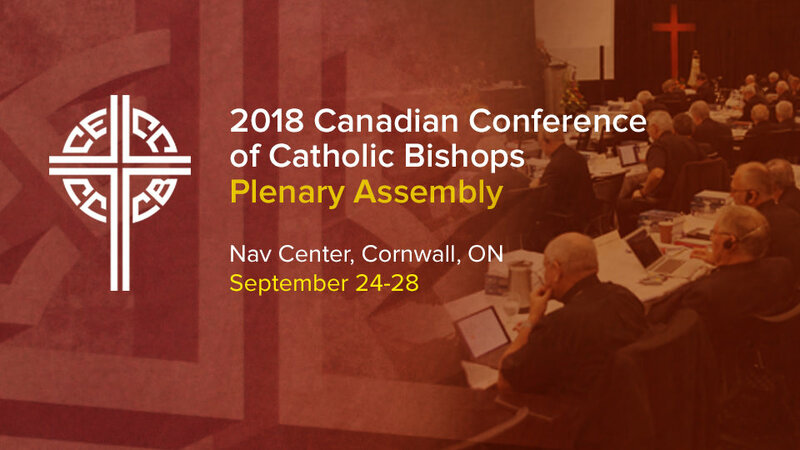 This set the tone for a lengthy discussion on the topic of safeguarding pastoral environments during which the Bishops received updated and expanded national guidelines entitled Protecting Minors from Sexual Abuse: A Call to the Catholic Faithful in Canada for Healing, Reconciliation, and Transformation. Following words of appreciation for the members of the ad hoc committee who contributed to the document's production, as well as professionals consulted in the process, the Bishops resolved unanimously to accept and commit to its implementation in their dioceses/eparchies. The Bishops likewise resolved to establish a special committee which will assist the CCCB in keeping its guidelines up-to-date and to make recommendations on emerging questions. With these steps, the Church in Canada embarks on a new phase in its ongoing attention to sexual abuse, aiming not only at effective policies, but at a cultural transformation and spiritual conversion in relation to attitudes and responses to sexual abuse by Church leadership. Protecting Minors from Sexual Abuse: A Call to the Catholic Faithful in Canada for Healing, Reconciliation, and Transformation will be launched by individual dioceses/eparchies across the country within the next week or two, after bishops have had time to familiarize themselves with its contents and to discuss its implementation with their diocesan/eparchial staff. The Plenary Assembly concludes tomorrow, Friday, September 28, 2018.